Two important rooms in your home include the Kitchen and Bathrooms. These rooms, well designed, can make your home more functional, aesthetically pleasing, and provide you with lasting joy for years to come. 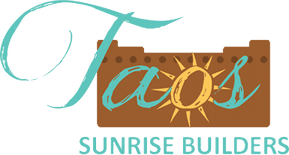 At Taos Sunrise Builders we understand this importance and take the time to work with you throughout the design and planning process, through production and even the final interior design touches. We offer commercial and residential contracting on new custom and remodel kitchens and baths.